Home / Client Authored / Attention Weekend Garden Warriors in Bellvue! Attention Weekend Garden Warriors in Bellvue! It’s so tempting when we get our first sunny day or weekend to throw ourselves full tilt into getting the garden in order. 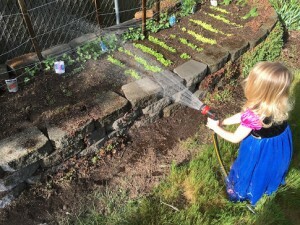 Pulling weeds, spreading moss, building a rock wall, or getting the backyard vegetable garden planted. You’re proud of your hard work, but the back pain can set in the day after you’ve gardened. Bending over or going on your hands and knees for hours can take a toll on your body and leave you with pain from head to toe. Because we’ve seen a lot of people come in with flare-ups of old injuries, we want to give you a few tips to prevent gardening injuries. Pace yourself. You don’t have to complete all your yard chores at once. Ask for help. It’s more fun to work in the yard when someone else can join you in enjoying the fresh air and sunshine. While you’re working, remember to do a quick stretch or two about every 10 minutes. Just 30 seconds or a minute of stretching can break up your static posture so that patterns of tension can’t set in. We’re here for you when you need us, but hopefully you’ll be coming in from your yard work for your chiropractic appointment for a wellness visit instead of from a garden warrior crisis. Either way, we’re here to help.